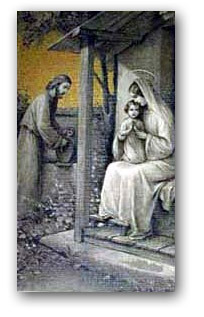 At Fatima, dear Mother of God, you appeared with St. Joseph and the Child Jesus blessing the world. O Holy Family, Bestow blessings upon me and my entire family so that we may live the Christ-life. I desire that each member of my family adore always the Most Blessed Trinity and love our God in the Most Blessed Sacrament. Grant peace to each member of my family. Keep each one in the grace of Jesus Christ. Never permit any of my family To stray from the true faith. For any member who has strayed, I beseech you to bind up the wounds, lift up the fallen, and keep each of our loved ones in grace. Bid them come back to their Father’s true home. Amen.